A man who refuses to hide his mistakes, Nolte now delivers his most revealing performance yet. His revealing memoir, filled with sixteen pages of color photos, offers a candid, unvarnished close-up look at the man, the career, the loves, and the life. 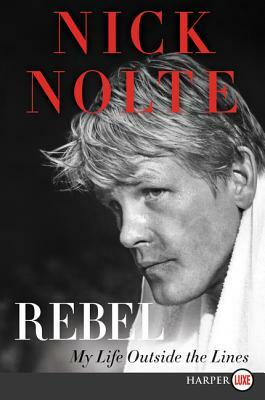 Nick Nolte is a Golden Globe–winning and Academy Award–nominated actor who has been active in Hollywood for more than forty years. He has starred in such notable films as 48 Hrs. (1982), Cape Fear (1991), Affliction (1997), The Thin Red Line (1998), and Warrior (2011), and currently stars in the title role in the Epix television series Graves. He lives in Malibu, California.